Southbend ranges and ovens are designed for commercial use and offer a cooktop with up to five burners, metal knobs, oven thermostat, convection cooking, electronic ignition, stainless steel construction and a counter-balanced oven door. The ovens are sold online or in commercial appliance supply stores and carry a limited warranty. Troubleshooting minor issues that arise with the stove or oven may prove to be useful for users seeking to resolve the problem on their own. Check to make sure the Southbend range is plugged into a power outlet if nothing on the stove or oven will function. Turn the gas valve on completely if the range is gas operated. Replace or reset the circuit breaker or fuse as necessary. Clean the burner orifice with a clean, damp cloth and then dry completely if a burner on the stove will not light or does not stay lit. Use a straight pin to clean the burner port hole. 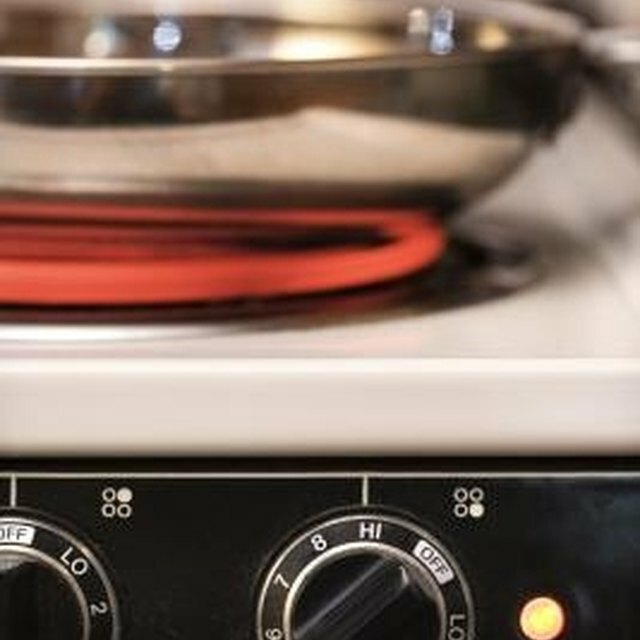 Make sure the proper burner control is being operated for the desired burner. Turn the oven blower control to "On" if the convection cooking is not working in the oven. Lower the oven temperature if the item in the oven cooks too rapidly on the outside but not enough on the inside. If the baking item settles in the center, raise the oven temperature slightly and cook for a longer period of time. Monitor regularly, but do not open the oven door excessively. Turn off and unplug the oven if there is excessive spillage on the bottom of the oven that is smoking or burning. Use a strong cleaner and a steel wool pad to clean. Wipe down with a clean, damp cloth and dry with a towel. Do not use large amounts of water when cleaning the oven interior. Clean the stove surface with hot water and dishwashing liquid to remove spills or debris if grease or other items burn onto the stovetop. Dry with a towel before using the stove top. Clean stainless steel with a mild cleaner and a damp cloth and rub gently in the direction of the polish lines on the metal. Do not scrub in a circular direction, as this may scratch or damage the material. Use a powdered stainless steel cleaner and a damp, soft sponge if the stainless steel darkens in area where heat was applied.